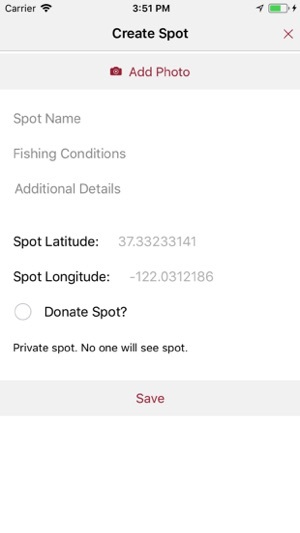 Spot2fish is a fishing spot management application. * Keep your fishing spots private. * If your feeling generous donate your fishing spots. * Save spots for future use. * Get directions to your spots. * See donated fishing spots. 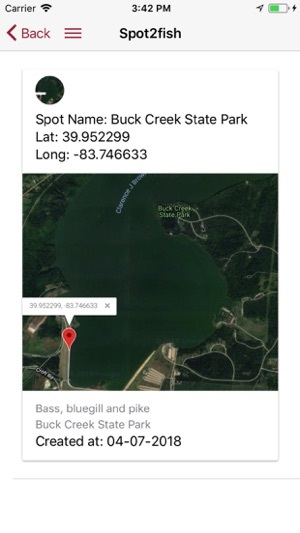 * The Spot2fish web app and Spot2fish mobile app automatically sync together. 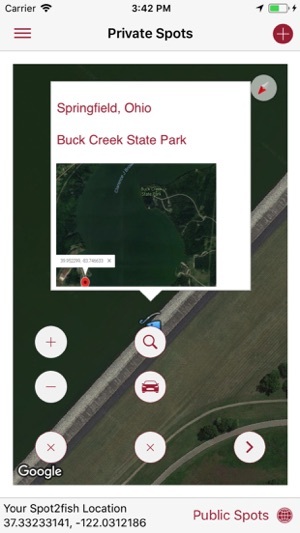 Manage your fishing spots at home or on the road. 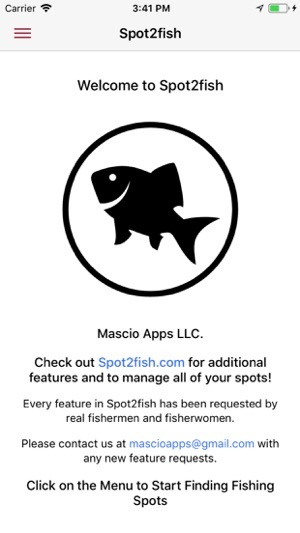 * All donated spots will get reviewed by a Spot2fish admin. 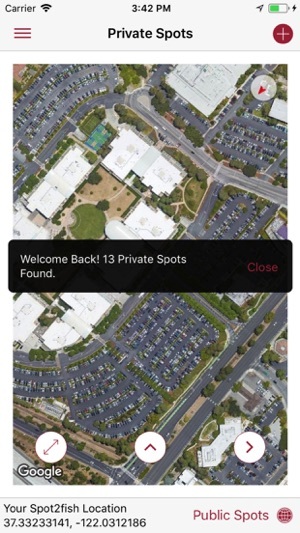 Ability to create a spot anywhere on the map, not just your current location. Ability to add a photo from your photo library. 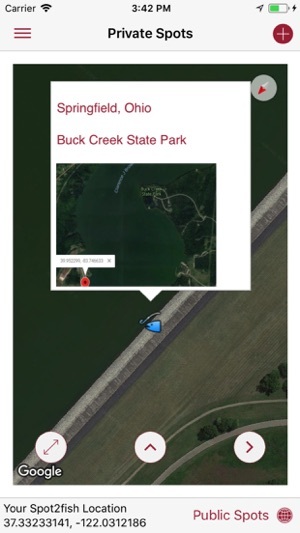 The perfect app to help you leverage social media to find out where the fish are biting! © 2015 Mascio Apps LLC.